From a small single office space to a multi structure complex, we can get the job done on time, and within budget. Marketing your available space is critical, and the rules have changed. No longer can you simply hang a sign and wait for a drive-by, or broker inquiries. You have to be proactive, and use every tool at your disposal to match your prospects to the available inventory. Images, video, it's all important now and you need to make sure your clients / prospects can see it today, on any device, with all of the information they need to say yes to a "show and tell" appointment with you. 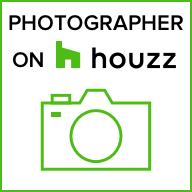 Our job is to help you achieve that goal with excellent images and or video of your property, and surrounding community with a focus on helping you achieve the maximum return on the lease, or sale of the property. Questions before you request a quote? No problem - just call us @ 424-282-8020 and we'll be happy to help.